body approaches to mental health. He has been chosen by his peers as the next President of the Los Angeles County Psychological Association in recognition of his dependable, thoughtful, and social nature. His doctoral studies focused on Health Psychology and he has taught the subject to graduate students. He has sought out extensive training in mindfulness meditation, existential and depth psychotherapy, and a host of mind-body approaches including breathwork, biofeedback, energy psychology, and somatic awareness. He utilizes all of these practices in his own life to cultivate balance and contentment. relationship with the wired world. He also enjoys working with people who desire deeper self-awareness, life satisfaction, and optimal well-being. In his work with patients, he employs a collaborative, personalized approach in which he and his patients determine which of his many methods and tools will feel right and work best. 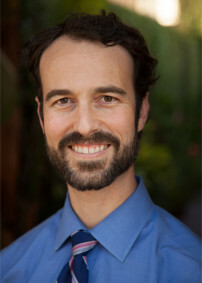 If you would like to schedule an appointment with Dr. David Laramie, he may be contacted directly at 310-913-4728.